Find the best TV Signal and get a great picture wherever you are caravanning. 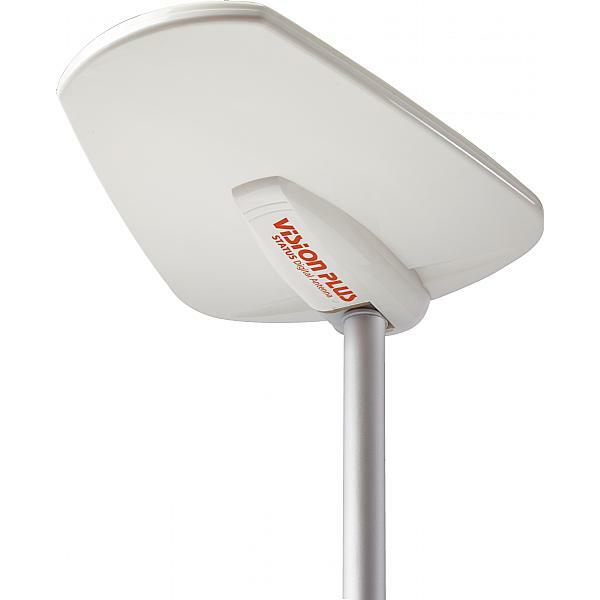 Vision Plus have now brought out the NEW Vision Plus Status 570 Directional TV / Radio Antenna System. Features include a unique integrated TV signal finder that enables you to tune in your TV or Radio with ease and in just a few seconds and the VP5 Digital TV amplifier will boost the quality of your picture even further. 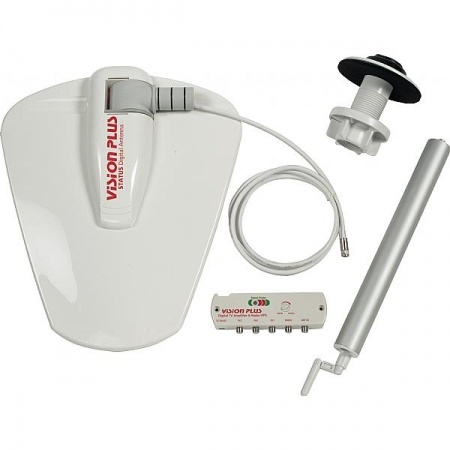 The entire kit comes with a mounting foot and gaiter (suitable for roofs of between 25mm to 50mm thickness - please note that the roof mounting assembly kit that is supplied with this product is not suitable for sloping roofs. ), signal finder, a fixing mast and of course the directional antenna. 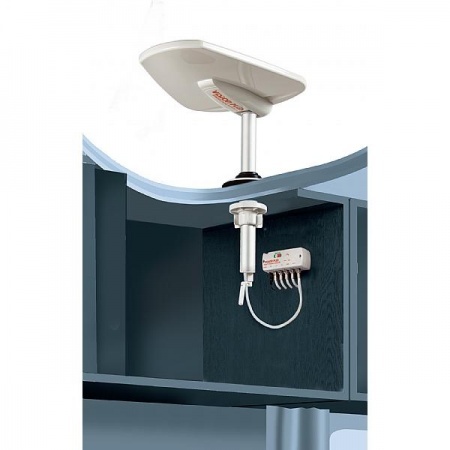 The Status Aerial range from Vision Plus for both caravans and motorhomes includes both directional aerials and omni-directional aerials. But how do you choose which one suits your needs the most and what are the differences between them? These types of aerials ( antennas ) are designed to avoid the need to find out what direction your TV or radio signal is coming from. As the name suggests, they do this by 'gathering' in the signal from every horizontal direction - a full 360 degrees. Because of this you should notice that omni-directional aerials do not come with a signal finder. However, Vision Plus who produce the Status Aerial range do include a signal amplifier to help with the quality of your TV picture and sound quality with their omni-directional aerials. Whilst these types of aerials are highly practical - especially for caravanners and people on the move who do not want to spend time finding the best signal direction for every site they visit - if you want absolute quality of signal then you should consider a directional aerial instead. As usual, there is no absolute right or wrong - it depends on your priorities. As mentioned above, if your priority is the picture and sound quality then few would argue against our advice that a directional aerial or antenna is the one for you. This is because the aerial needs to be pointed in the correct direction. 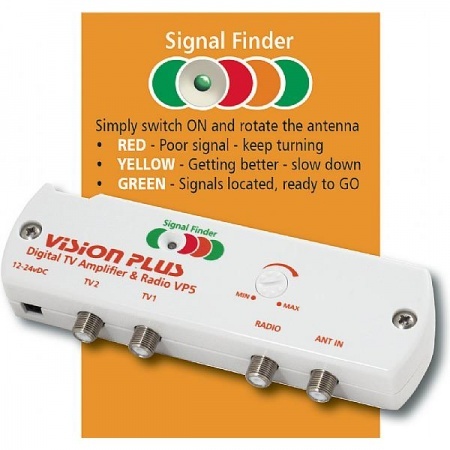 Having said that, you will now want to find out where the best and strongest signal is coming from and that is why the Vision Plus Status aerial systems have a signal detector for directional aerials included. These make the process a breeze especially compared to the days of trial and error. Switch it on, rotate the aerial till you get the green light and you're ready to go.